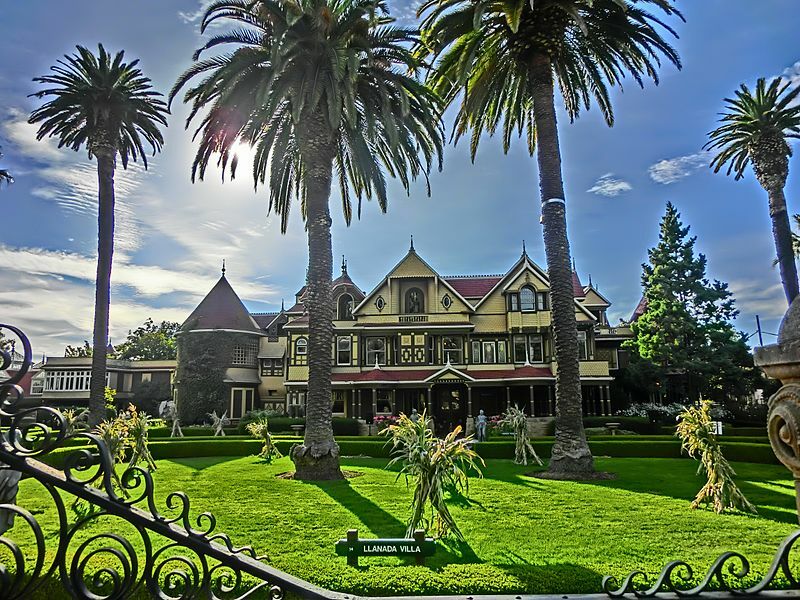 There are some people who think that Sarah Winchester was a complete nutcase. 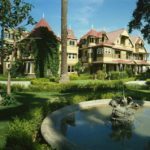 Others believe that she was guided by spirits to create her bizarre house – and that spirits still haunt the strange residence she built in San Jose. Sarah was the widow of William Wirt Winchester, the man who was responsible for m,any, many deaths – because he was the magnate behind the famous Winchester rifles. William died and Sarah also lost her young daughter and it’s said that these events made her lose her reason. But that being said, when she became a widow, she inherited a fortune. It was fortunate that she had this at her disposal because she believed that she was cursed bu those who had been killed by her husband’s product and that the only way to alleviate this was to build a mansion … and keep building … and keep building … so the house was worked on, every day, for 38 years until Sarah’s own death in 1922. Of course, even mansions with 160 rooms don’t take all that time to build so Sarah kept her workmen busy by having them create corridors and staircases that led nowhere, curious adornments and doors on the upper floors that lead to the open air. The house, which can still be visited today, was so convoluted that in October 2016 – that’s 132 years after building had commenced – a further room was found. And that was just in time for Halloween which, as you can imagine, is a particularly popular time for tourists to visit.